Here’s the thing about poetry. It’s hard. It’s emotional. It’s intelligent. And it is its ability to communicate in both modes at the same time that makes it so effective and thought-provoking. OK, that’s four things. But still. 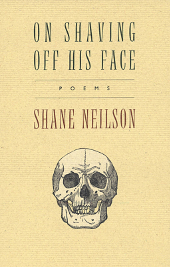 Shane Neilson’s On Shaving Off His Face is a perfect example of poetry at the top of its game. Neilson has said that it’s the kind of book he only wanted to write once—and it’s no wonder. The poems in this collection are not of the pretty, romantic fluff variety. They are visceral reflections on pain, grief and illness. 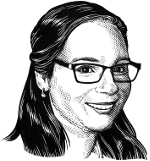 Organized around the image of the human face, they comment on the human desire to understand emotion via visual cues: to categorize based on appearance, to judge based on expression. On the one hand, knowing the medical, psychological, scientific and historical context behind the poems opens up a whole new realm of meaning that a superficial read could never hope to attain. On the other, the raw emotion and psychological intensity lurking in every syllable require no explanation—they come through all on their own, like a kick to the head or a punch to the gut. If you’re only going to read a few poetry books this year, let On Shaving Off His Face be one of them. They looked and knew what was wrong. Your face designed to break and break again on illness. Blood and alcohol the rural isolate you wear as helmet. But skin-masks envelop grief-masks. More blood, alcohol, and always need to look at. Your face immerses except for wonder, baptismal fonts troubled by your father with the face of icon, who presses his own face to an oilrag and transfers to you his terrible sainthood. The Saint of Fear: Nicholas of Myra. You learn a rictus grin for all goodnights to chasten the tongues that chide teeth, a sound that mimics the closing of gates. Blame is the function of your face. You are here, wanderer, to be known by how you come. If we welcome you, it is because we take your face and emblazon our flags against your cause, a cause so plainly seen. To be free! But you cannot be, for your face is pain’s currency. Others spend it for you. Not proud, nor revenant of the self, a woman taught you first and best that dreams of death are madly coming true, squandered is the dream. Look at yourself and know that the common went predictably wrong on some beginning ago. A line to comprise a face: the fire was want. But it’s not true. Fire melts a face and makes it into what fire wants: the reformation of burn. You are free to yearn as your face coils, recoils, falls, and resurrects. Look one last time. Take the oilrag. Press it there. SHANE NEILSON is a family physician and author who has published in the genres of memoir, short fiction, biography, literary criticism and poetry. In his medical and poetic practices, he focuses on mental illness, pain and disability. He currently acts as editor for Victoria, B.C. publisher Frog Hollow Press. Though he lives in Oakville, Ontario, all of his work is rooted in rural New Brunswick. To keep apprised of new releases as soon as possible, be sure to sign up for our newsletter, and don’t forget to follow us on Facebook and Twitter. This entry was posted in Letters from the Porcupette (the Intern's Blog) and tagged On Shaving Off His Face, poetry, shane neilson. Bookmark the permalink.